KOENIG EXPANDER® LK950-100 series pull-style expansion seals, made of case hardening steel, improved performance and eliminated contamination in the aluminum block engine. As the popularity of aluminum block engines has increased, engineers are challenged with unique concerns, balancing performance, weight and production costs. During installation, the plug is inserted in the port and then expands. The plug’s serrated shell forms a secure metal-to-metal seal with the base and does not require a sealing compound. SFC KOENIG recently worked with an automotive customer to analyze and solve performance and warranty issues. Engineers had identified contaminant in the oil as a major source of problems. SFC KOENIG focused on threaded pipe plugs used to seal oil journal holes as the issue. The plugs required the port to be tapped, a machining process which created debris. In some instances, this debris was not properly cleaned and created micro-size particle contaminants. Additionally, the pipe plugs required sealing compound to improve seal integrity. This sealant was often applied in excess and then circulated in the oil, which affected lubricant integrity and leading to a build-up of debris. During the assessment, engineers noted failure rates increased when production capacity was at higher levels. It was realized that installation equipment and personnel could not maintain pipe plug alignment consistency at high speeds. This resulted in cross-threaded plugs, leakage and expensive rework. 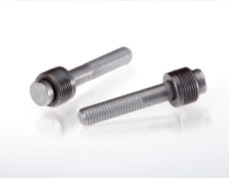 KOENIG EXPANDER® LK950 series 10mm plugs replaced the threaded seals. 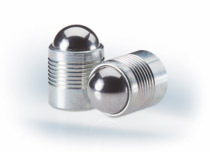 The LK950 plugs utilize a metal-to-metal expansion design that does not require machining, tapping or sealing compound, and easily withstood the 100+ psi pressures. With its one-piece design and a variety of SFC KOENIG installation equipment, the customer quickly integrated the KOENIG EXPANDER into the automated environment and immediately realized improvement.